Forsythia, also called Golden Bells, are ornamental shrubs that are members of the Olive family. Forsythia are native to eastern Asia and southeastern Europe. There are about 11 species but most common garden varieties are hybrids of Forsythia suspensa and Forsythia vridissima, otherwise known as Forsythia intermedia. Common varieties grow 6′ to 8′ tall and wide but are often kept shorter and formed into a shaped hedge. They are sometimes planted singly where their arching branches form fountain-like growths spilling into the yard. 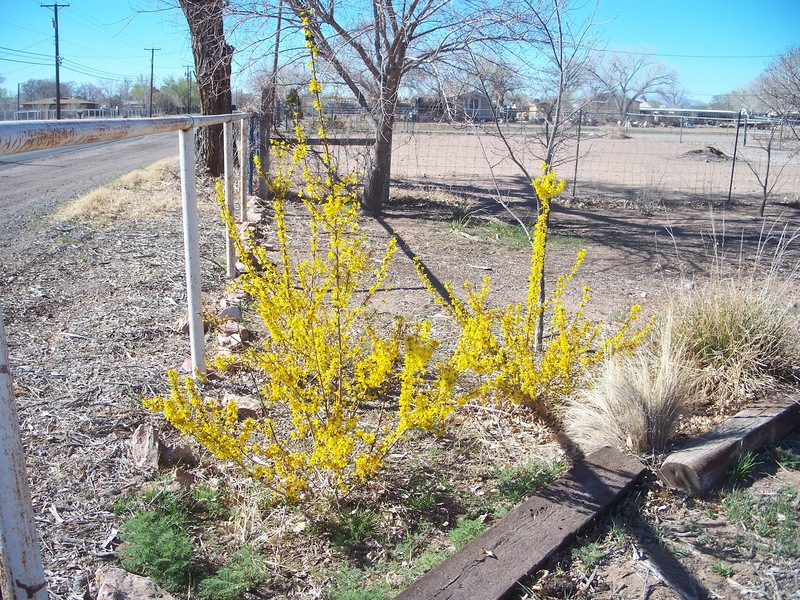 Forsythia are most often planted for their spectacular dense rows of yellow spring flowers that form while most other plants are still dormant (photo). Providing a colorful reminder that spring is near and brightening an otherwise drab day. Flowers form prior to leaf out. Leaf color is dark green for the remainder of the growth season. Fall leaf color is yellow. Forsythia are best grown in full sun to light shade. They require regular water during establishment. Flowers form on prior year’s growth. So prune Forsythia annually just after flowering to promote branching and allow sufficient time for new growth for next spring’s floral display. 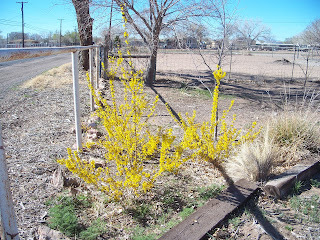 Forsythia are hardy to USDA Zone 4. Forsythia make a wonderful addition to your landscape and make a colorful statement whether planted singly or as a hedge.